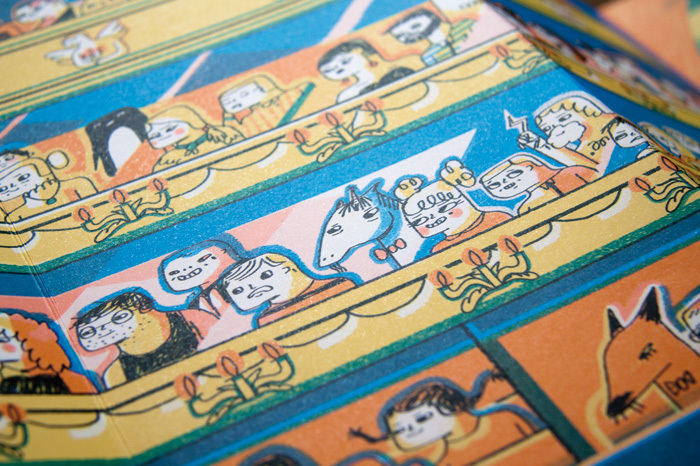 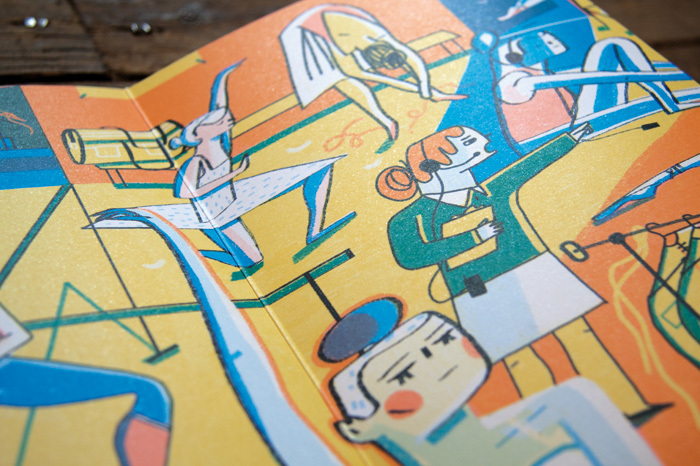 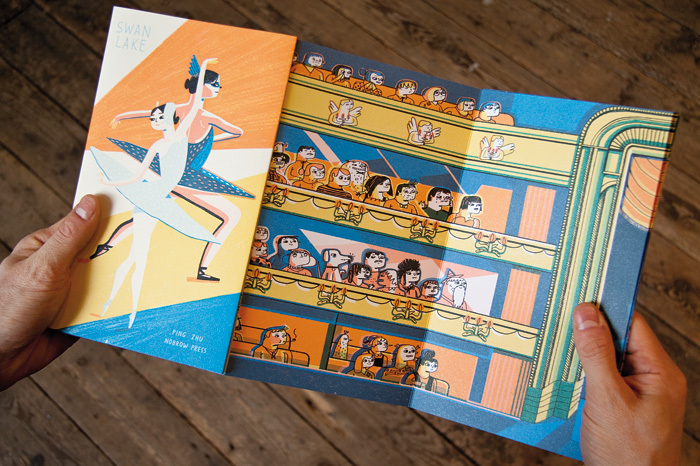 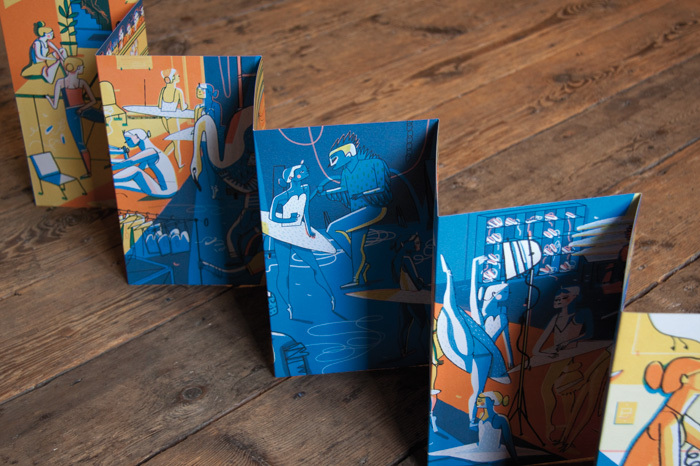 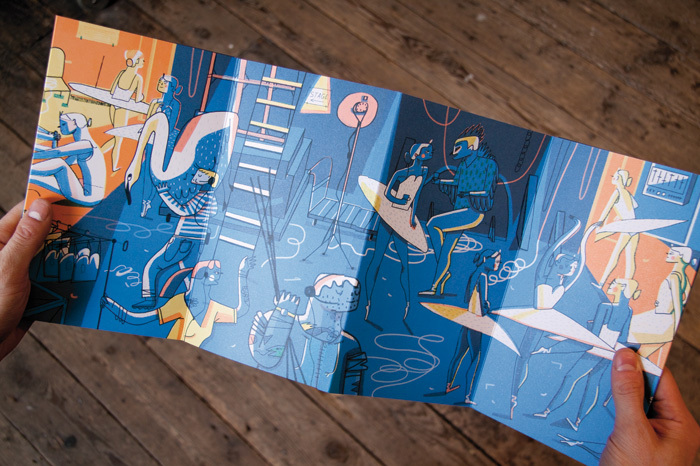 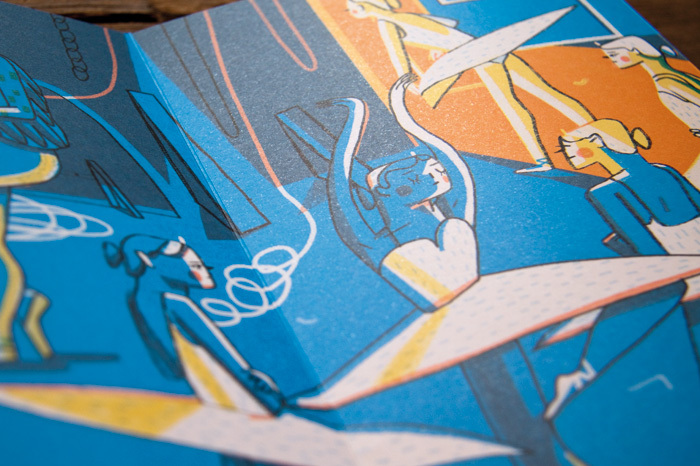 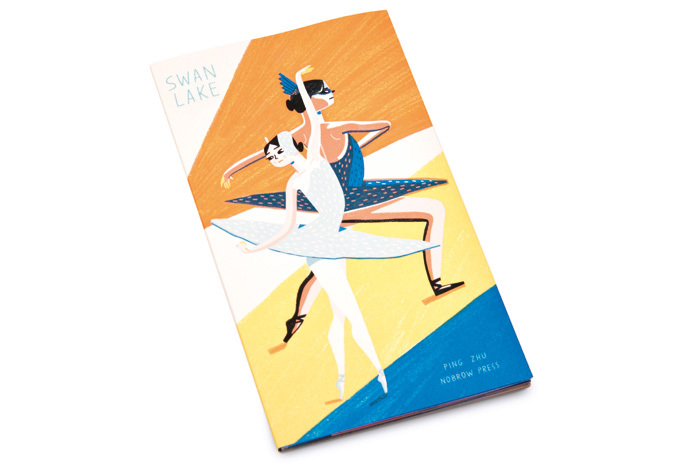 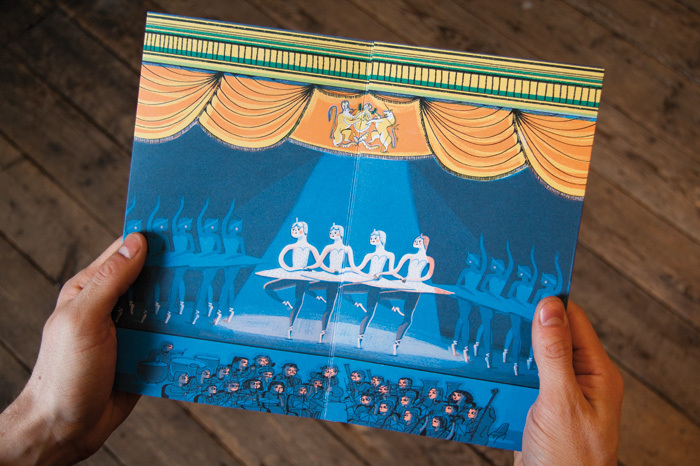 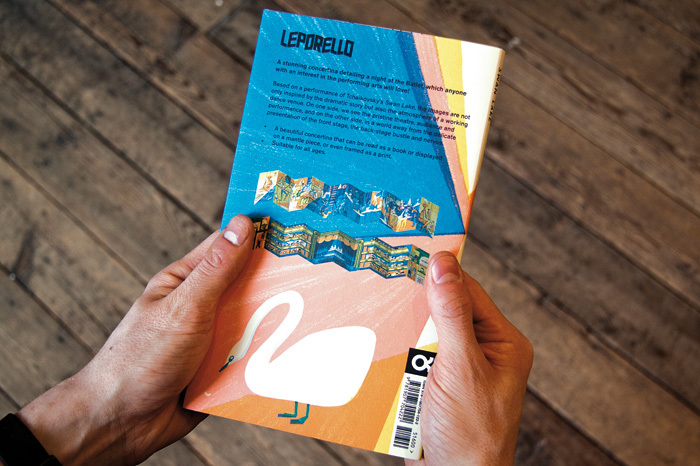 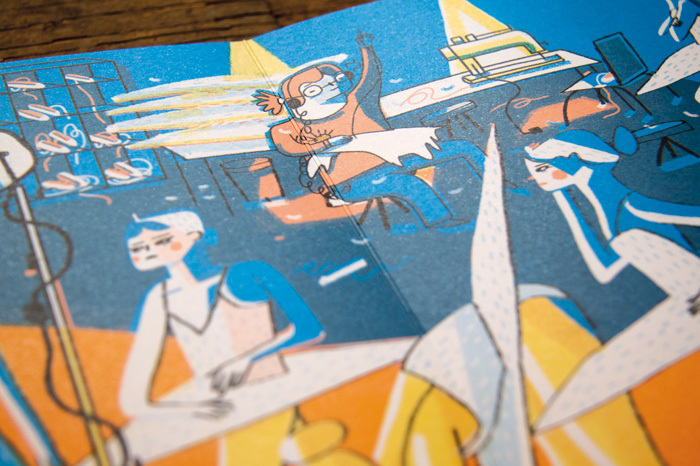 Swan Lake is a beautiful concertina book detailing a night at the Ballet. 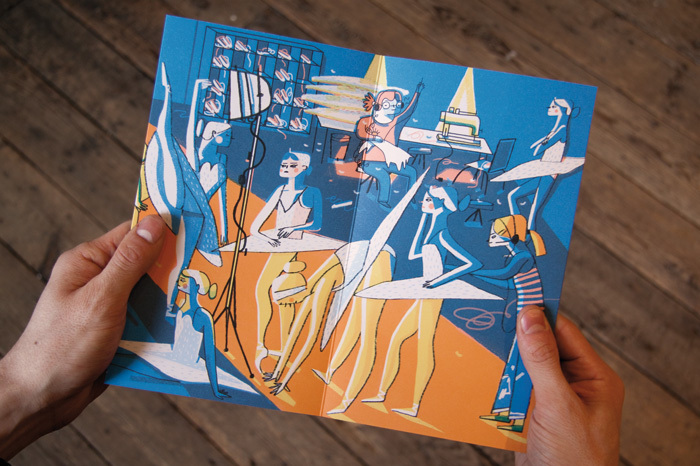 Illustrated by Californian artist Ping Zhu, we see the pristine theatre, audience and performance on one side and the back-stage bustle and nerves on the other. 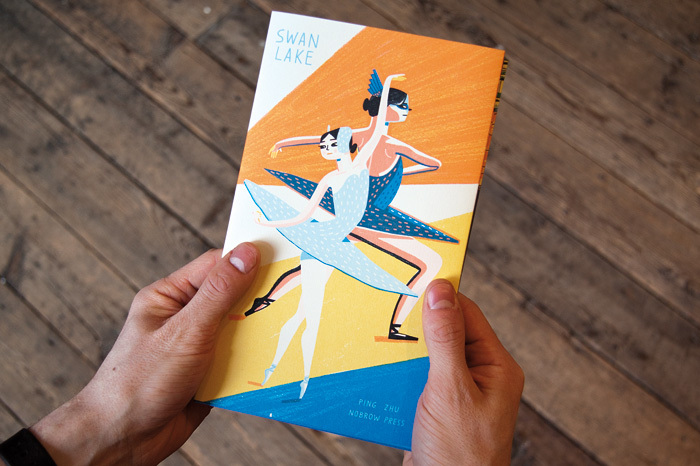 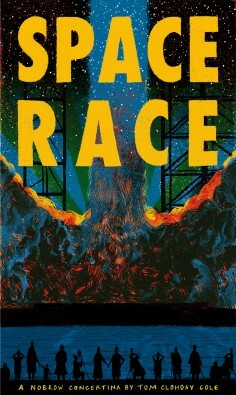 Based on a performance of Tchaikovsky’s Swan Lake, the images are not only inspired by the dramatic story but also the atmosphere of a working dance venue. 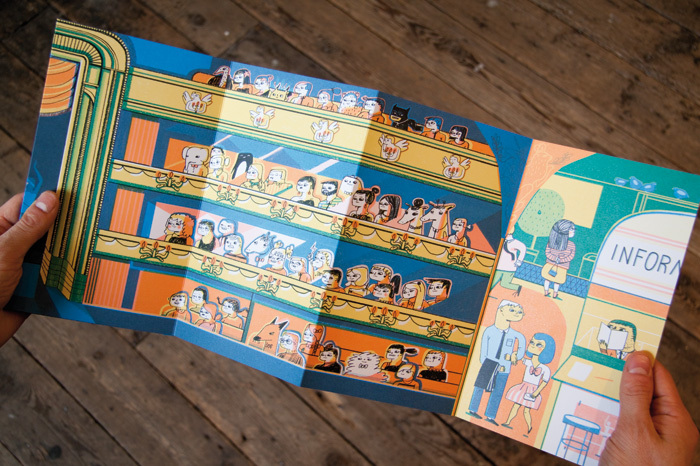 Zhu illustrates the orchestra, the boxes and even the entrance hall and ticket office. 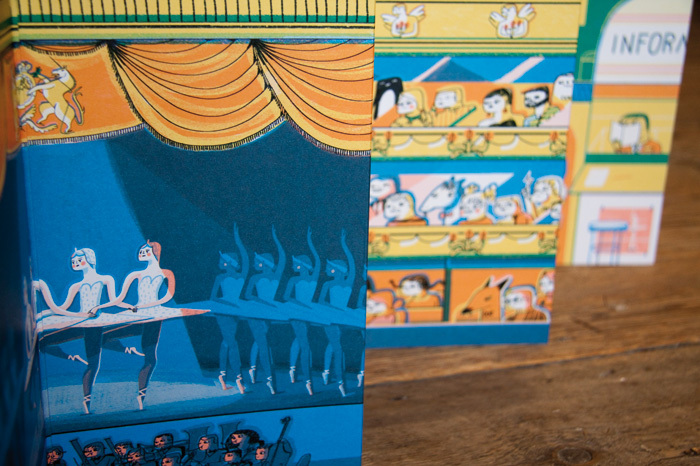 Back-stage is a world away from the delicate and precise presentation of front stage – ropes and pulleys, stage hands and prop handlers, seamstresses sewing sequins, ballerinas nervously awaiting their queue, the director signalling and gesturing silently – all in all we are treated to a delightful concertina which anyone with an interest in the performing arts will immediately love. 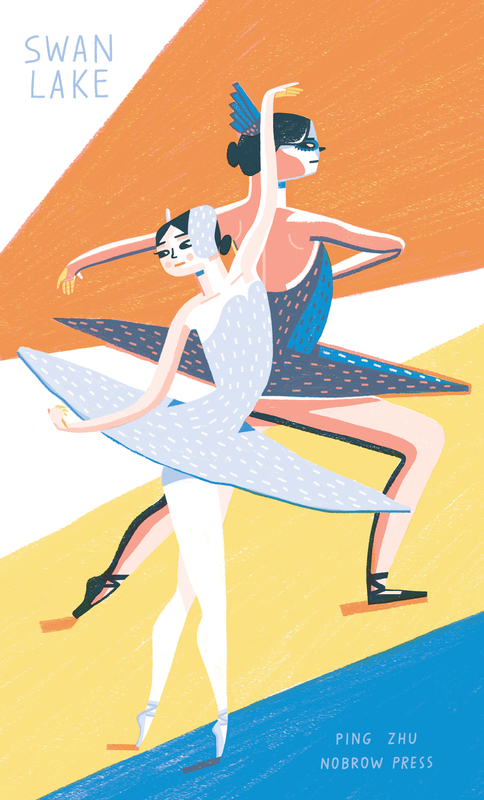 Ping Zhu grew up in Los Angeles and recently graduated from Art Center, Pasadena, USA with a first class degree in illustration. 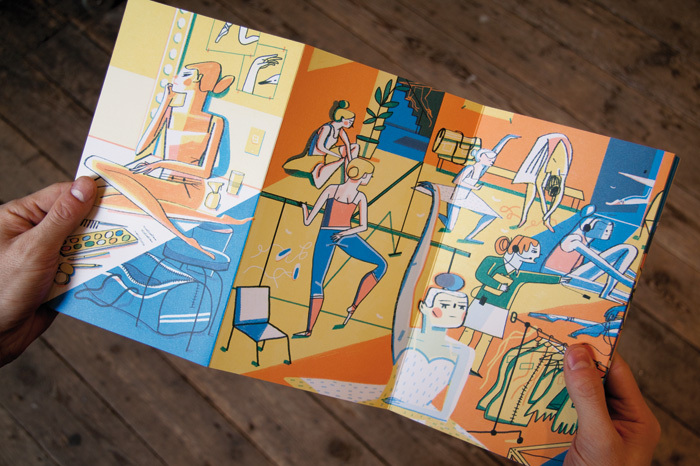 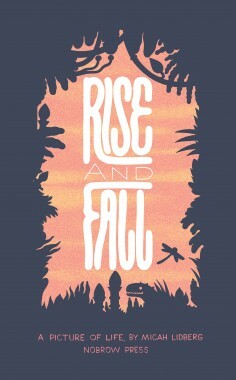 She works as a freelance illustrator and now lives in Chelsea, London. 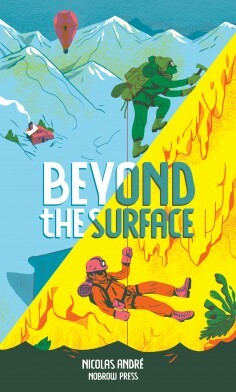 We are very excited to be publishing her first book.